So says political scientist and futurist George Friedman in “The Next 100 Years,” his 2009 book that predicts geopolitical strife and challenges that potentially face a post-Internet, post-drone world, where up is down and radical changes occur in a variety of spheres of influence, in public opinion, in the practices of war and much more. Little of what is considered the norm remains. Even though events happen gradually (year over year, decade after decade), on the scale of human history, the world is dramatically changing. The same could be said about content strategy from the perspective of a learning developer. You hope that content will be well designed, well received and able to be updated and upgraded through many technology cycles. You have little to say over the circumstances in which the content will be released. You don’t know when the content will need to be updated, who will do it, why they would change it, or even – with global organizations – where it will be done. When circumstances shift and why they do is out of your control. Dust in the wind. For all intents and purposes as a content developer, it appears you are shooting in the dark – not knowing the result of what you produce, why you do it or who will be affected by your efforts. This is the antithesis of strategy. This is the absence of planning. How can you regain control of those aspects of the content you produce that matter to your organization, and to you, from a professional integrity standpoint? 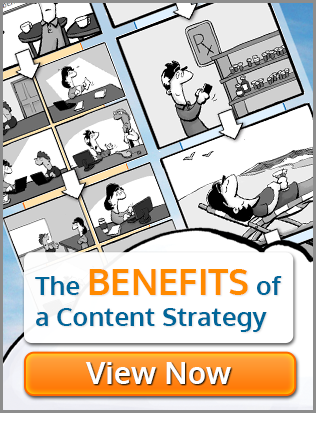 You create a framework for content strategy. What does this framework comprise? Well it’s a plan for content. It is the planning for the creation, publication, governance, and maintenance of the content you produce. It’s not perfect. It’s not bulletproof. (Considering the number of ways that people can access the content you produce these days, is anything?) But it’s better than just hoping for the best. You must plan for the worst if you are to make your way through the minefield that is today’s business climate – shifting deadlines, shorter product release cycles, unexpected mergers, and acquisitions. The list goes on and on. Given the fact that you have likely already produced a library of dozens, or even hundreds of courses, job aids, and other learning materials, it’s not a surprise you may feel overwhelmed by the prospect of converting all this content into mobile formats. You may even feel you can’t cope. The mountain of content and the demands of your learners won’t allow you to move forward. So, how do you break out of this paralysis – this reactive, counterproductive state that leads to constant rework but little progress? In a sentence, you do what’s hard. You work to understand why, when and where your users are accessing the content you are creating, and you apply that lend to your design process. You take this knowledge into account before creating your content. Not all learning content you have produced needs to be converted to mobile. You will need to assess the value of the content, and the reason for it to be converted, before pushing the “publish to mobile” button. Ask yourself, “Does this material need to be accessed with a mobile device?” If you hesitate, ax it. If you are still unsure, then talk with a mobile learning strategist. Don’t carry dead weight. See this as an opportunity to assess all your learning content in converting to mobile. It’s an awful feeling to later notice that your training materials are problematic when your sales suffer and your products sit on the shelf. How are changes in content relayed and approved? When will you know information needs to be updated? What are your leading indicators? Are you gathering enough data and feedback to alert you to the need to update content? You must envision how and when the content will be updated, and who will do it when the time comes for this to happen. It is time to own this and stop being reactive. It’s your content. The same is true for content, but it’s often updated a few times. Are you making that update process easier? Can your content live for a generation or three? Will it be ready for an internationalization effort? If not, take a deeper look at what you are doing. This is all somewhat abstract, I grant you. Can you really afford not to consider these questions though? You need to stop hoping for the best without planning for the worst. It’s time to develop a mobile content strategy while you convert your most relevant and valuable content to needed mobile screen sizes and delivery methods. 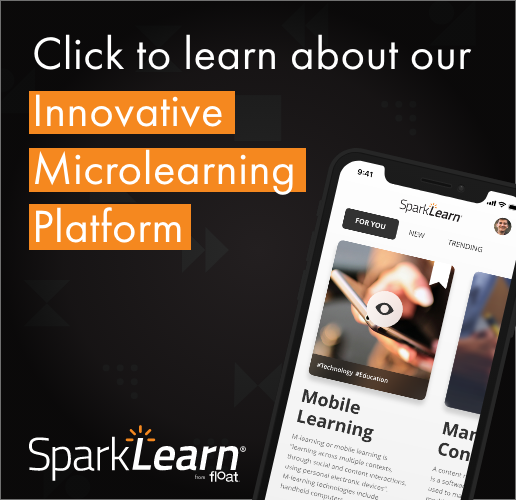 To learn more about the benefits of a content strategy, download chapter 1 of my book, Learning Everywhere: How Mobile Content Strategies Are Transforming Training in PDF and MP3. If you need additional help with developing a mobile content conversion strategy, please call us at Float. We’re here to help.